We are one of the widely acclaimed manufacturers and exporters of Linear Slide Staining Machine. 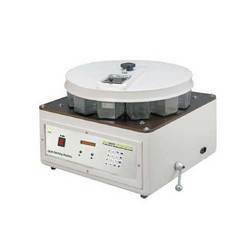 The offered linear slide staining machine are very commonly used for staining of blood films and bone marrow spreads. Our exported linear slide staining machine are digital constructs. 1. Automatic water influx/efflux/drainage control system . 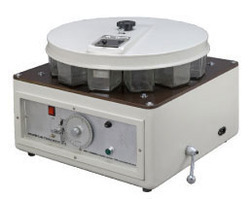 It has 14 stations, 1000ml capacity of single cylinder, with 1 to 59 minute(s) working time of single cylinder, with 72 glass slides, automatic cleaning and drying functions. · Slide staining trough with loose lid. · Staining Rack die slotted for easy individual holding and bulk staining. · Slides tray also Available in Stainless Steel and Alu. manual slide staining procedure occupies considerable amount of technician’s time. To accelerate the process “yorco slide staining machine was designed on modern principles for carrying out practically all slide staining techniques of cytology & histology. The IQ Kinetic Slide Stainer™ offers the flexibility and reliable performance that both clinical and research investigators need for today's complex assays. This open system staining platform can be adapted for immunohistochemistry (IHC), in situ hybridization (ISH), immunofluorescence, or special stains. Spencers Slide staining Machines offered in two different models which can be programmed to automatically carry out all slide staining techniques from the simple routine of hematology to the more sophisticated techniques in cytology and histology. Spencers offers two models with 12 and 23 stations as under.